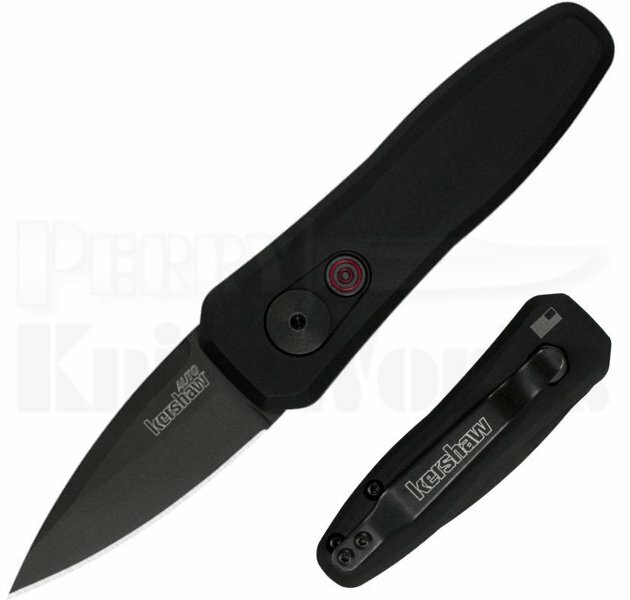 The Kershaw Launch 4 sports a blade of just 1.9", nice and legal. And pretty handy, too. The Launch 4 opens with a push button, recessed so that it is level with the flat of the handle. This is a safety feature and makes it harder for the knives to accidentally deploy. For left-handed use, press the blade-release/lock button with your index finger instead of your thumb. The Launch 4 has a single-position pocketclip and carries tip-up. Now with free Domestic Shipping!